Many of you know Jenn Reta as one of the most caring, sweet, friendly, active, “ready to volunteer and take on a project no one else wants to do” kind of person. Giving and kind are just in her nature. If you are in the Newbury Park / Thousand Oaks area you’ve most likely seen Jenn and her family at the baseball fields, basketball courts and soccer fields. From the many hours of coaching sports to serving as team parent, volunteering at church, school, and Boy Scouts their family has done it all. And all of this was done not for recognition, but because they are genuinely good people who care. And that’s what makes the next part so hard. In early March of this year, our dear friend Jenn Reta got the devastating news that she has Stage 4 Lung Cancer. 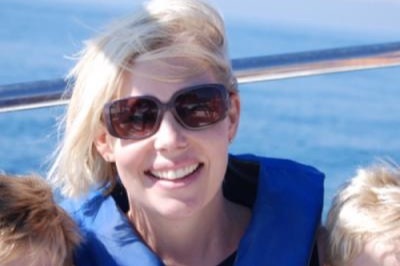 Jenn, her husband Andy and their three young children Colin, Jack and Hadley are now facing a very challenging and difficult time. Since the cancer is aggressive and has spread, Jenn started chemotherapy right away and is ready to fight as hard as she can. Luckily, Jenn has been blessed with wonderful family, supportive friends and lives in an amazing community. 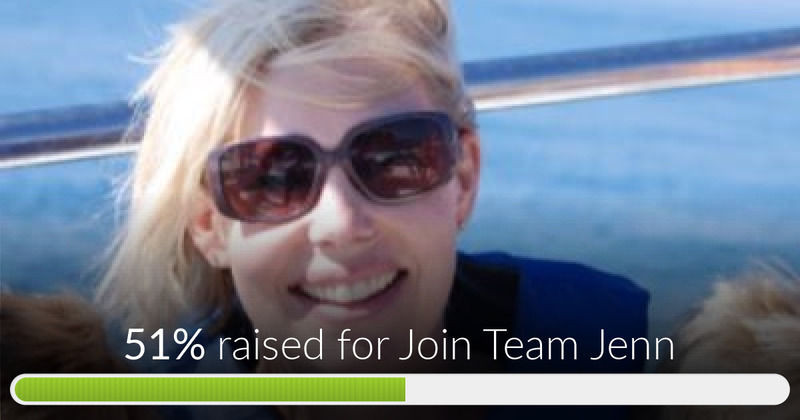 We want to reach out to as many people as possible in Jenn’s network and beyond to help her have the best possible chance of fighting this terrible disease. Our goal is to raise money to help ease their financial burden. Chemotherapy, radiation, immunotherapy, and other life-saving treatments are both difficult and extremely costly. Insurance does not cover everything, and we all know obstacles arise when dealing with these companies. We set the target at $25,000 but hope to surpass that goal. Knowing Jenn and her family are going through this we feel helpless, but this is one way we can make an impact. · Potential alternative treatments, experimental drugs, trials, etc. Jenn is mentally strong and has remained positive and upbeat while knowing the road ahead will be long and arduous. Please consider making a donation to help her with this fight. Any amounts are welcome and are very much appreciated. Also, please feel free to share this link as an easy way to spread the word. A huge thank you to everyone who has donated, wrote encouraging messages, offered help and shared Jenn's gofundme! Amazing to see all the support from family, friends and people who don't even know her but want to help. We are more than halfway to the goal, let's keep it going!!! Thanks to everyone who has donated so far, left an encouraging message, reached out and shared this site. The support has been amazing, let's keep it going!! !